Leverage rule-based solutions that are efficient and that reduce errors. InnoVyne Technologies provides flexible Incentive Compensation Management (ICM) solutions that enable incentive administration teams to automate complex incentive calculations, shorten the compensation cycle, and improve internal audit capabilities. By implementing the right ICM solution, companies benefit from significant cost savings, improved sales efficiencies and more effective risk management. Our ICM system will reduce errors in your sales incentive compensation data and administration. Build trust with your sales reps by improving accuracy through data integrity. Easily configure all business rules into efficient and automated procedures with the IBM ICM solution. Remove the “human” factor that may cause errors in your manual procedures and allow administrators to focus on process improvement. Implementing an ICM solution will allow your administrators to spend their time doing analysis and reporting that is valuable to the management team, instead of data administration and manual updating of spreadsheets. 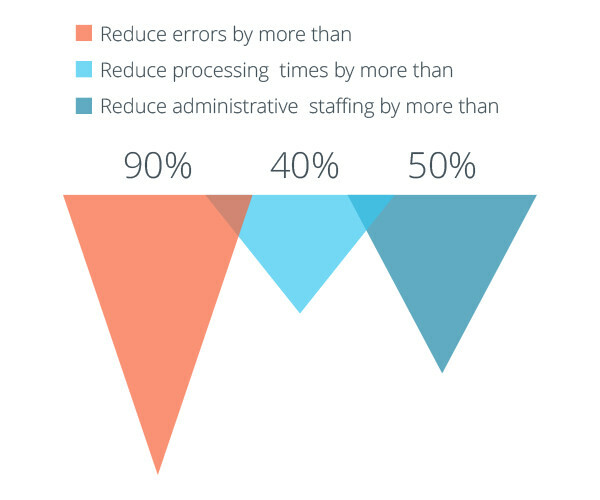 Implementing ICM solutions can reduce errors by more than 90%. Identifying risks and exceptions proactively is very difficult with a manual system. ICM solutions eliminate manual processes and increase your ability to make informed business decisions in a more timely and efficient manner. With the IBM ICM solution, you can expect to reduce your processing times by more than 40%. Automating manual processes such as data collection, data validation, and the calculation of incentives, allows organizations to be more efficient and turn around incentive payments faster. You will also benefit from a significantly reduced learning curve for administrators thanks to a very user-friendly interface and InnoVyne’s industry leading best practice training program. Connect your ICM solution to a variety of source systems, such as HRIS, POS, and CRM systems such as SalesForce.Com. Easily configured and scheduled data imports provide a constant fresh batch of data available for compensation needs. The IBM ICM solution has its own built-in ETL (Extract, Transfer & Load) tool, which allows for your data to be saved in any format. This saves your administrators from the significant amount of time they spend on manipulating or massaging the data into a specific format. With the IBM ICM solution, your sales reps will be able to view their progress and performance on demand. For compensation administrators, this means a comprehensive array of data to use for all their compensation needs. Whether it is new plans, or an upcoming merger, your IBM ICM solution will easily integrate all data elements. With powerful reporting solutions and workflow engines, the IBM ICM solution allows you to efficiently manage manual processes that are difficult to track such as, payout approvals and adjustment tracking. Many organizations still manage these processes via emailed spreadsheets, conference calls or telephone. The IBM ICM solution provides a scalable framework that can accommodate an infinite number of plans of varying complexity. InnoVyne consultants provide the advice and support to help prevent your compensation plan design team from being hampered or restricted in any way by a technology platform. New compensation plans can cause significant work and bottlenecks for compensation administrators, who must rework their spreadsheets. The IBM ICM solution enables compensation administrators to create, modify, and deploy plans with a few clicks. With an ICM solution, you can provide your entire organization a single portal to access all information related to incentives. This means that the compensation team can finalize payouts, the finance department can review all incentives, sales operations can set sales quotas and target incentives and HR can review legal information all from the same portal. With automated business processes and a standardized portal, organizations can expect to become more efficient and effective with their sales compensation processes. An ICM system will reduce errors in your sales incentive compensation data and administration.